PLEASE NOTE: this baseball batting drills post presupposes the hitter is getting an extreme barrel vertical angle at impact. In other words, they’re dissecting the pitch plane from down to up. 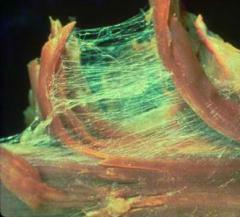 There are natural elements to dipping the back shoulder…this article goes into fixing the extreme. #1 would be a hitter having a flat bat, or close to flat, at stride landing. 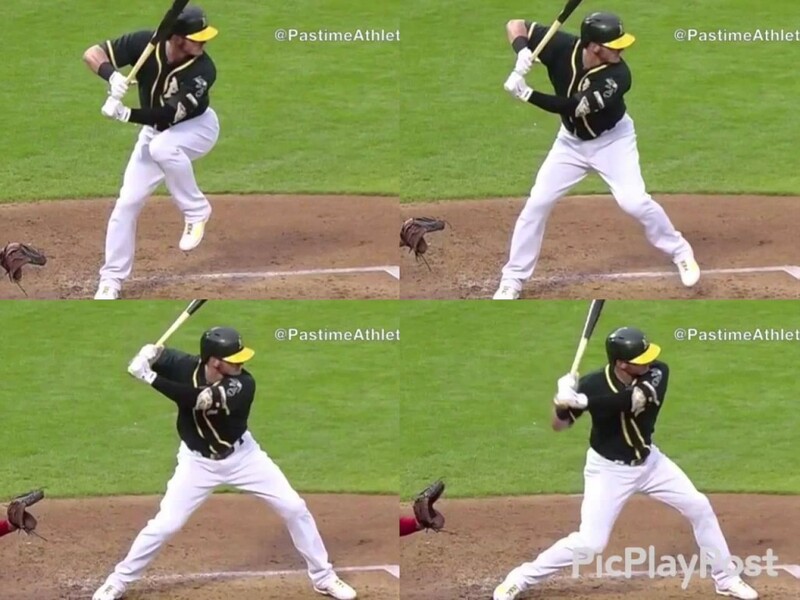 This shifts the bat’s center of mass behind the hitter (instead of above), which typically brings in #2, to lever the bat into the impact zone. 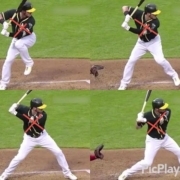 #3 can be caused by both #1 & #2, but if the hands don’t come back up before landing (a la Josh Donaldson above), to a “knockout punch” position, then this hitter will most likely have to uppercut anything in the zone above the hands. An upward shoulder angle at landing, #4, will most likely result in uppercutting and/or a collapsing of the backside. #4 can be observed along with numbers 1 and 2, but not always. Racing back elbow causes the barrel to get really steep early in the hitting zone, which leads to a lot of weak fly balls to the opposite field. AND, because of the steep vertical angle of the barrel, a roll over correction will happen later in the barrel’s path resulting in grounders to the hitter’s pull side. About #5, if the front elbow gets caught ‘tucked in’ at landing (elbow pointing down at the ground), then an uppercut will most likely happen. And this ‘tucking’ will happen most likely because of #6, too steep of a shoulder angle.